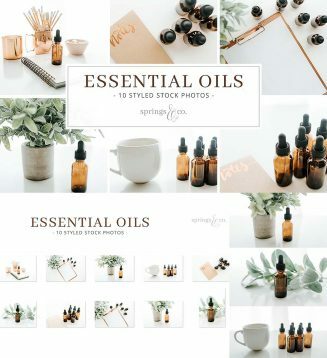 Set of 10 styled stock photos with essential oils. Build your brand through social media, blogging, and web design to create a cohesive and professional look using styled stock photography. Tags: clean, oil, photo bundle, plant, simple, social media, styled photo.